CLASSIC RIDE...ULTIMATE PERFORMANCE. 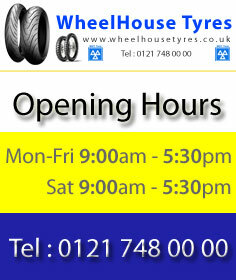 REVIVE YOUR RIDE BY ENJOYING THE LATEST EVOLUTION IN TYRE TECHNOLOGY. 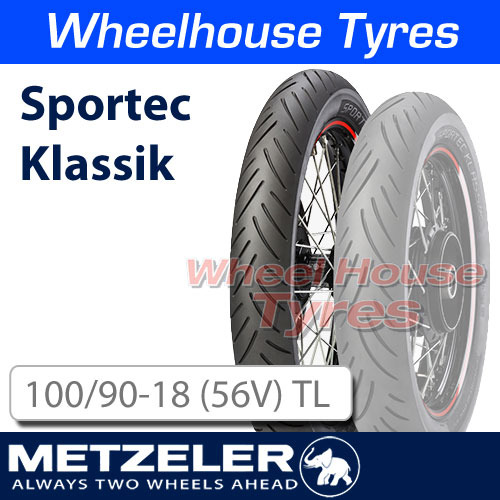 METZELER SPORTEC™ KLASSIK is the latest tyre joining the already rich product range Metzeler offers for classic and vintage enthusiasts. 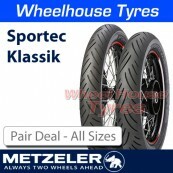 SPORTEC™ KLASSIK is the latest tyre joining the already rich product range METZELER offers for classic and vintage enthusiasts. With a look resembling the widely popular ME1 CompK, SPORTEC™ KLASSIK brings the latest evolution in tyre technology to motorcycles from the ’70’s, ‘80’s and ’90’s. Featuring the SPORTEC™ DNA handling and grip in all conditions, SPORTEC™ KLASSIK is engineered to offer top cornering precision, stability and high comfort which lasts until the very end of the tyres life. Featuring a carefully developed tread layout and geometry to enhance stability and increase the size of the contact patch, SPORTEC™ KLASSIK is the ultimate upgrade for your ride, whether your machine is in standard trim or a customized classic.